Thanks for signing up to receive WV Rivers’ Water Policy e-newsletter! Each week of the legislative session, we’ll send you a digest of the latest water policy news and actions you can take. At the top of each e-news, you’ll find the easy action of the week, it only takes a few minutes and it is the most urgent call to action. This week, we’re asking you to contact Governor Jim Justice to let him know you oppose opening up West Virginia’s State Parks to commercial logging. Easy Action: Click here to send a letter to Governor Justice. After you’ve sent your letter, amplify your voice by calling the Governor’s Office at 304-558-2000 and share your concerns. 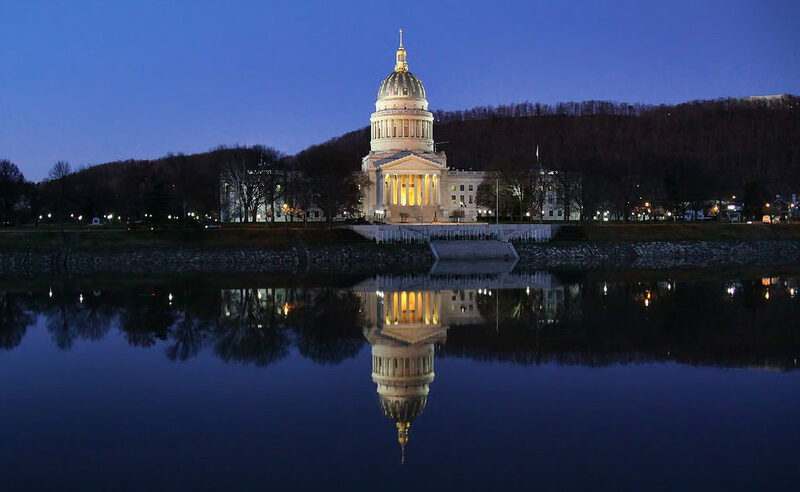 The 2018 West Virginia legislative session kicked off last Wednesday, 1/10, and runs through March 10. Throughout the next 8 weeks, your voice and actions will make the difference for the health of our water, environment, and state. WV Rivers provides the resources you need to understand the issues and take action when you can make a difference! We’ve developed a water policy webpage where you can find our fact sheets on policy issues. Sign up to receive WV Rivers’ Water Policy Updates, a weekly briefing on policy news and actions you can take. And be sure “like” our Facebook page, and follow WV Rivers on Twitter. The legislative session moves fast and our social media is the best way to receive breaking news and real time policy updates. It comes as no surprise that the attitudes facing environmental regulations are hostile. Last week Governor Justice issued an executive order calling for a “regulatory moratorium.” What exactly this means for our water has yet to be seen, but we can guess it’s not good. Water Quality Standards. We oppose weakening water quality standards. These standards control pollution in order to protect rivers and streams’ designated uses such as drinking water, aquatic life and recreation. Any changes to WV’s water quality standards will be considered through the required triennial review process that begins later this year. The Legislature should not subvert this process by prematurely considering legislation this session. Drinking Water Protection. We support implementation of the recommendations of the WV Public Water System Supply Study Commission. These include required notice to downstream water utilities of violations of upstream permitted facilities and no further stripping away of the authority of the Aboveground Storage Tank Act. Funding for source water protection programs through the Bureau of Public Health should be maintained. Stream Gage Funding. 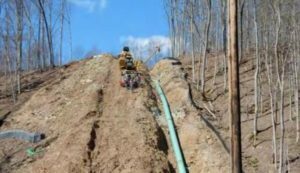 We support increased and stabilized funding for stream gages, as recommended by the WV Water Gaging Council. The deadly floods of 2016 show the importance of having a strong network of stream gages to provide an enhanced statewide flood warning system. Natural Gas Infrastructure. 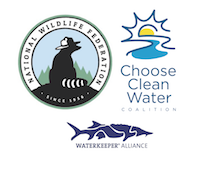 We support implementation of recommendations from the studies mandated by the Horizontal Well Control Act to protect water supplies and public health. These include increased monitoring and impact controls for residences, source water protection areas, and other sensitive areas. Preserve our Parks. We support current restrictions on logging in our state parks. Mature forests in our state parks add recreational value, as well as provide benefits to water quality and wildlife habitat. We are interested in alternative ways to fund our state parks that do not involve degrading their old-growth forests. Monday, 1/15, saw the introduction of SB 270, a bill that would open our State Parks up to commercial logging. Backed by Governor Justice, SB 270, is framed as a way to pay for State Park maintenance – but it comes at the cost of compromising clean water and healthy ecosystems. Learn more. For over 80 years commercial logging in West Virginia’s State Parks has been banned, making them some of the most Wild & Wonderful areas in the state. Logging operations are notorious for the ill effects they have on water resources. They cause sediment to runoff into waterways threatening to wipe out aquatic habitats and muddy downstream waters. Just imagine commercial logging in iconic State Parks like Blackwater Falls, Babcock, and Holly River – parks sought after for their wild rivers and peaceful forests. Would you want to visit? Take action! Click here to send a letter to Governor Justice, let him know you oppose logging West Virginia’s State Parks. After you’ve sent your letter, amplify your voice by calling the Governor’s Office at 304-558-2000 and share your concerns.